A FAMOUS WRITER ONCE told me, “You always want to have a couple of stories in your back pocket. You don’t want to be out with your buddies, everyone savoring their own delicious tale, and come up empty”. Same goes true for money. This weekend, however, I came up blank. Pocket lint. 88˚ and triple-digit humidity boils the brain. Creative juices squeezed out, my skull resembles an original Denis Papin steam digester, c. 1679. When it is time to cool off, to bring about brain freeze, most iced drinks can satisfy. Though isn’t life about enhancements. Ice cream, please. 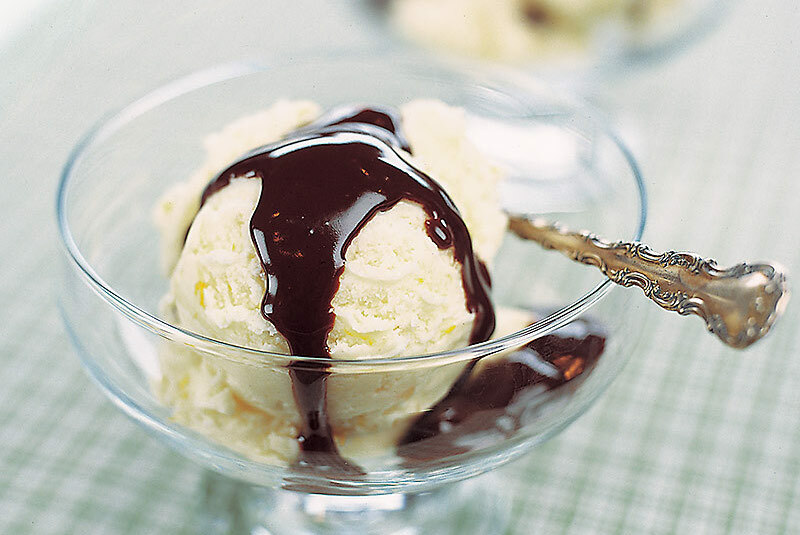 If we are going to consume sugar calories, why not make it the best ice cream this side of the Monongahela River! To the source we travel. With carriage and four-in-hand, back in time we clatter, through Delaware’s Arc to the 1700s farm of the Mitchell family. With milk-fat levels approaching my cholesterol numbers, this is real ice cream. It sits upon the tongue, infusing smiles and euphoria. 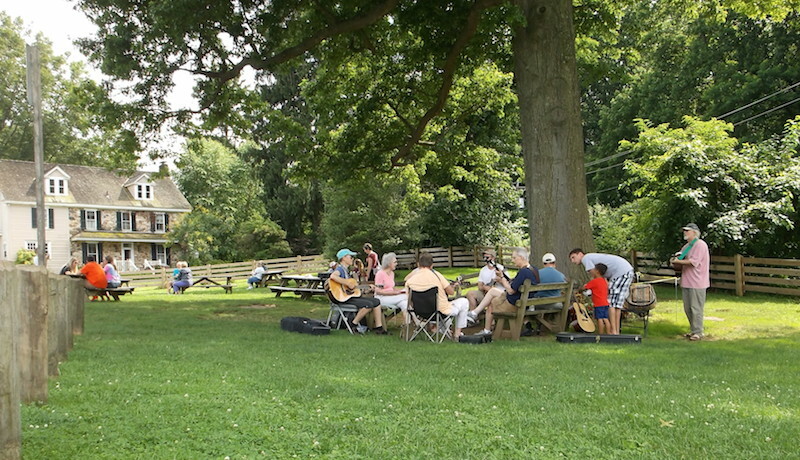 Where kids can be kids, clocks slow, and the bluegrass circle plays on. Under the big oak tree, mature even in colonial times. We eat our treasure, cows looking on. Children’s laughter sets the beat, as faithful renditions of Doc Watson’s honest clarity measure time. Farm fresh ice cream ~ Worth the trip! 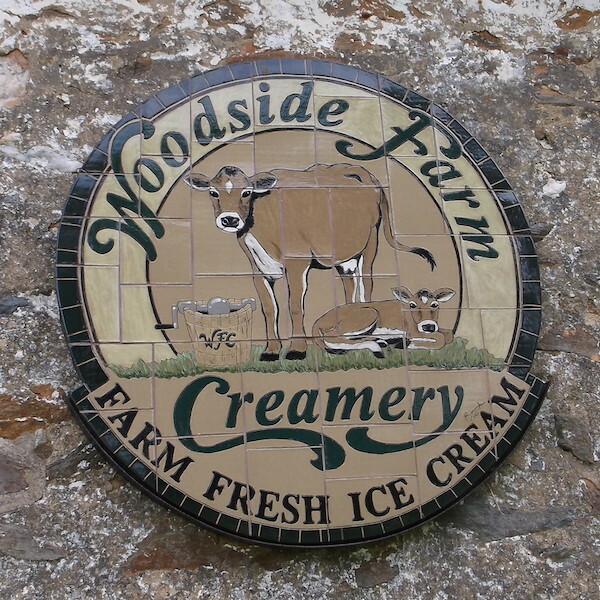 This entry was posted in Food / Cooking and tagged arc of delaware, bluegrass circle, Farm fresh ice cream ~ Worth the trip!, Woodside Farm Creamery.